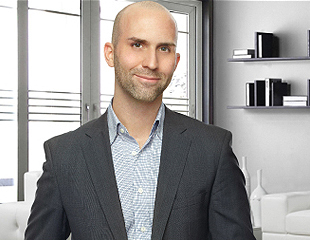 Andre Alves : Toronto Real Estate Agent, Buying a Home, Selling a Home : When Should You Sell? The answer to this question can often be determined by your personal circumstances. You may not have the luxury of waiting if you have to transfer because of a new job for example. However, if you have more flexibility with your timing then you can be more strategic about when you sell. Whether you need to sell in a few weeks or few months, the goal is to maximize the price you get for your house. In a “seller’s market,” where a large number of buyers are competing for fewer homes, speed and top price can go hand-in-hand. However, in a “buyer’s market,” when there are more homes for sale and thus more competition, buyers can take their time shopping for a home, and thus there can be a trade-off between speed and price. Real Estate is one of the best long term investments. It forms a major part of the financial security for most people and provides shelter and a place to enjoy and build memories. 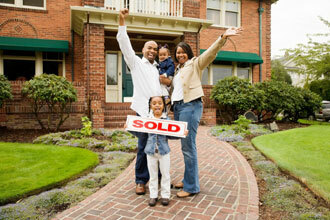 The real estate market goes through cycles that may impact your decision to sell. These cycles can create a shortage of homes which can push prices up, or a surplus of homes for sale which can slowdown rising prices or cause price reductions. Real estate cycles are driven by a number of factors, the most important being the economy. When economic growth is slow, unemployment increases and potential buyers tend to wait for things to improve. During periods of economic growth, employment is strong and consumer confidence is high, helping spur a demand for housing. Interest rates are another important factor that affects real estate markets. When rates are low, affordability is improved and more people are able to afford a home. When rates go up, the carrying cost for a home goes up, and fewer people can afford to buy, which can slow the market down. While national and global economic conditions are always a factor to be considered in the real estate process, its important to remember that real estate is local, and the reality of the real estate market is that the impact can be very different between neighbourhoods and even property types. When selling in a “buyer’s” market the thing to remember is that if you’re also buying in the same market, you can make great gains by buying at a discount on a property that will have the potential for greater appreciation in the future. Weather can affect buyer demand. In the winter, you’ll have fewer people willing to trudge through the snow looking at properties, however there tends to be less competition from other homes for sale. In the spring, homes show better and buyers get geared up to start looking for a home. This is why you see many more homes for sale during this time. Parents with children like to buy in the spring so they can move in during the summer and have this time to settle in. With this said, homes are bought and sold throughout the year, and season should only be one factor in determining a strategy to sell your home.